You've booked your flight and packed your bags, but how much do you know about your next wonderful vacation destination? Sit back and let us give you the basics about El Tarter. You'll find this town 4 miles (6 kilometers) from Encamp and 7 miles (11 kilometers) away from La Massana. 1,000 friendly locals live in this corner of Andorra. Booking a hotel and airfare bundle deal via Travelocity is the easiest way to save cash on your vacation to El Tarter. On top of that, you can select from no less than 400 airlines and 665,000 places to stay. Our Customer 1st Guarantee offers 24/7 personal assistance on everything from accommodations and airfares to rental cars and experiences. Have you stumbled upon an even better bargain elsewhere? We'll match the price and give you back the difference^. You've got the freedom to adjust any of your package bookings with no annoying charges on our end. You know what that means, right? You've got nothing to stress over! And as long as you get in quick, most accommodations won't charge you either^. Life is one amazing journey, so why not get out there and really experience it in El Tarter? You can start by selecting from the 75 wonderful properties available through Travelocity. Spoil yourself with a bit of luxury at the Hotel Llop Gris (Principat d'Andorra) or the Kandahar (Carrer BEARN Nº 5). After all, it's not every day you go on vacation! If you're the type of traveler who prefers to spend all their time out exploring, a deluxe suite may not be to your taste. 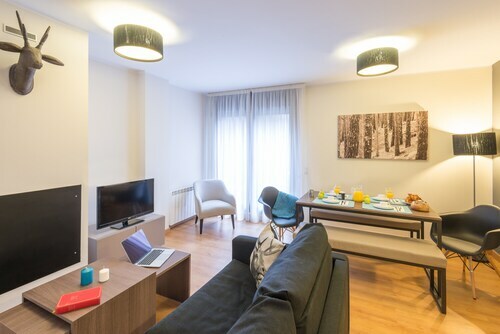 Some superb budget options to consider are the Grau Roig Andorra Boutique Hotel & Spa (Estación de esquí de Grandvalira) and the Apartamentos Frontera Blanca (Avenida D Encamp 39). Where do you fly into for El Tarter? Luggage all packed? Excellent — hop on the flight to Pays Cathare Airport (CCF). Once the wheels hit the runway, you'll be only 55 miles (89 kilometers) from the middle of El Tarter. Can I rent a car in El Tarter? Book a rental car with the help of Travelocity and experience El Tarter on your own time. When you arrive, hit the streets and have a chin wag with the locals. If you ask what notable attractions they recommend, they'll probably point you in the direction of Soldeu Ski Resort. If you have an investigative mind, go to Postal Museum. You never know what you will learn here! Need some more options? Whether you're an expert or a first-timer, it's time to dig out your skis and carve up the slopes. El Tarter Snow Park promises loads of fun for everyone! But that's not all. If you’re looking for some spiritual enlightenment on your getaway, drop by Sant Joan de Caselles. Who knows, you may even find the answers to one or two of life's most puzzling questions! Situated 17 miles (27 kilometers) from El Tarter, Lordat is adored by travelers. Head to this place to access Montsegur Castle and Gorges de la Frau, two outstanding attractions you won't quickly forget. Just 60 miles (97 kilometers) away you'll find Le Soler, another nearby area that's well worth visiting. It's a handy place to access popular attractions such as St. Jacques Church and Palace of the Kings of Majorca. 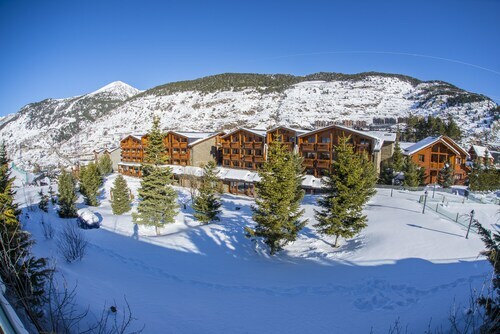 Located in the mountains, this slopeside hotel offers ski-in/ski-out access in El Tarter within 2 mi (3 km) of GrandValira and Soldeu Ski Resort and close to winter sports such as snowshoeing and snowmobiling. El Tarter Snow Park is 2.3 mi (3.7 km) away. Located in the mountains, this slopeside El Tarter aparthotel offers ski-in/ski-out access within 2 mi (3 km) of GrandValira and Soldeu Ski Resort and close to winter activities such as skiing lessons. El Tarter Snow Park and Palau de Gel are also within 3 mi (5 km). 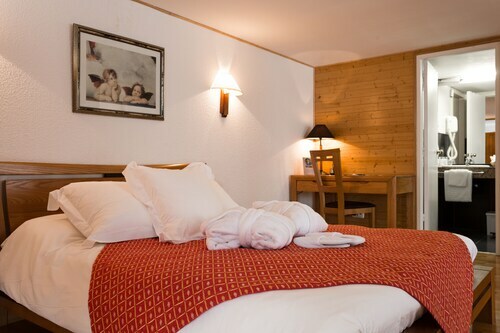 Situated in the mountains, this hostal is 0.4 mi (0.6 km) from GrandValira and 1.4 mi (2.3 km) from Soldeu Ski Resort. El Tarter Snow Park is 2.5 mi (4 km) away. 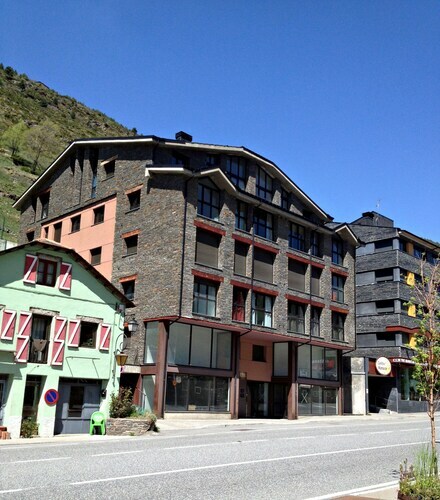 Situated in El Tarter, this apartment building is 0.6 mi (0.9 km) from GrandValira and 2 mi (3.2 km) from Soldeu Ski Resort. Palau de Gel and El Tarter Snow Park are also within 3 mi (5 km). 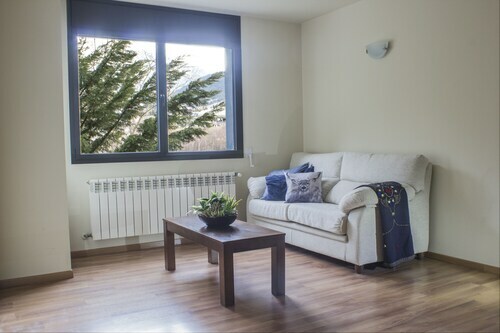 Situated on the riverwalk, this apartment building is 0.3 mi (0.5 km) from GrandValira and 1.7 mi (2.8 km) from Soldeu Ski Resort. El Tarter Snow Park is 2.4 mi (3.9 km) away. Situated in El Tarter, this spa hotel is 0.3 mi (0.4 km) from GrandValira and 1.6 mi (2.6 km) from Soldeu Ski Resort. El Tarter Snow Park is 2.6 mi (4.2 km) away. 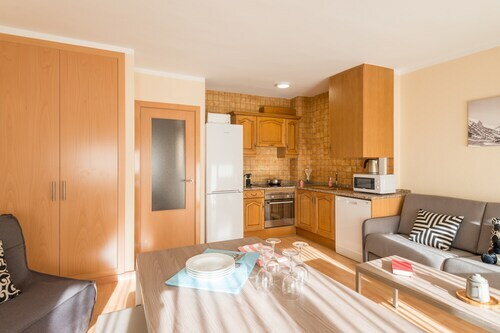 Located in the mountains, this slopeside El Tarter apartment building offers ski-in/ski-out access within 2 mi (3 km) of GrandValira and Soldeu Ski Resort and close to winter activities such as sledding. El Tarter Snow Park and Sorteny Valley Nature Park are also within 3 mi (5 km). Situated in El Tarter, this apartment building is 0.4 mi (0.6 km) from GrandValira and 1.8 mi (2.9 km) from Soldeu Ski Resort. El Tarter Snow Park is 2.4 mi (3.9 km) away.